Where else will you find a venue that not only has a spacious hall, well-equipped kitchen and a wonderful terrace, this is what makes it such a special place for a celebration, perhaps a wedding? In good weather this terrace area, which opens up to the main field, is a fantastic space to enjoy pre-dinner drinks, and for children to explore and play safely. 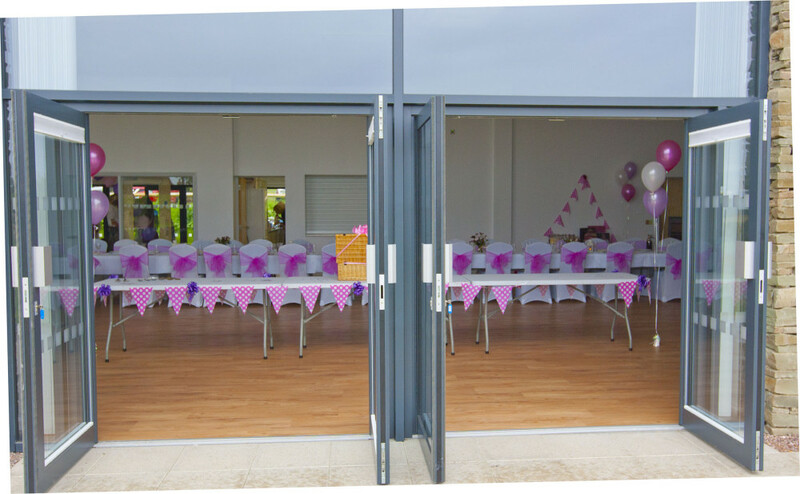 Additionally, there are the fantastic views as the Village Hall at Norbury has been designed and built to take best advantage of stunning views of the Shropshire Hills. One complete wall of the main hall opens up to the terrace, which makes this a bright and airy space. The terrace can be set up for drinks and dinner too, and in summer months would be perfect for a BBQ. To book the Village Hall at Norbury please call 01588 650242 or email hello@villagehallnorbury.co.uk.